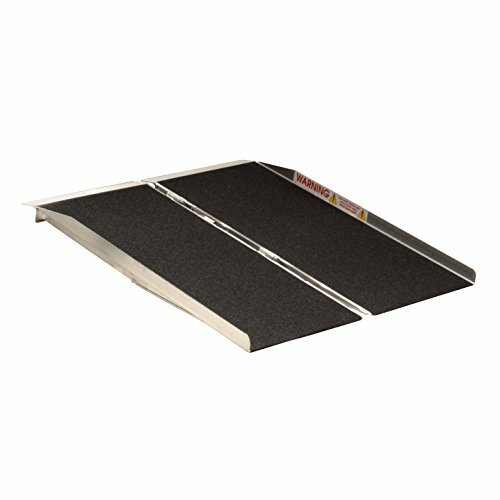 The lightweight aluminum singlefold ramp has been safety tested at a 3X safety factor and is easy to handle and set up. 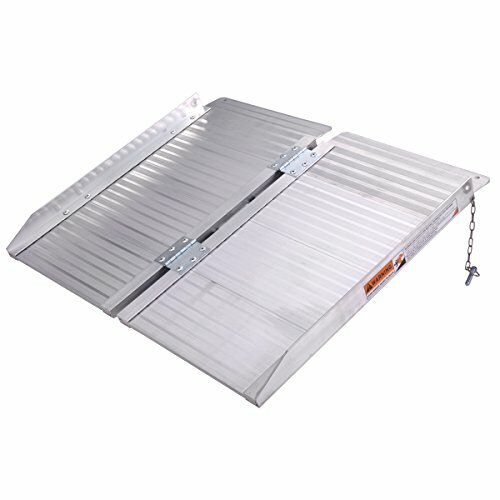 The ramp folds in the middle to be carried like a suitcase. 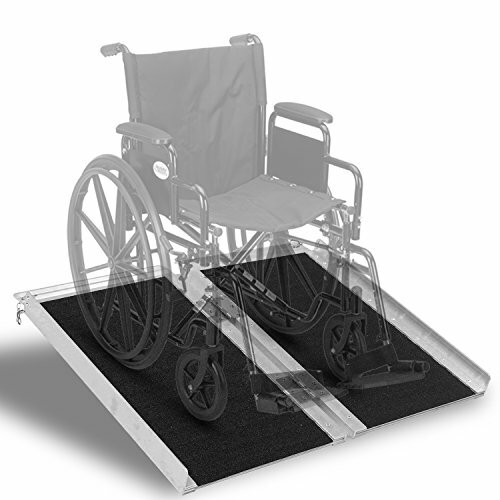 The full 30 inch wide platform provides excellent stability that is ideal for wheelchairs or scooters with various wheel configurations. 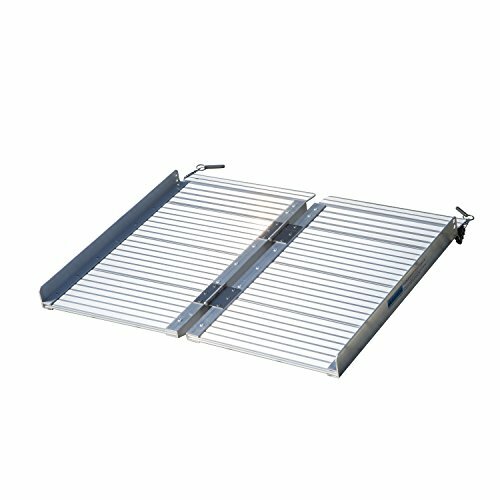 These aluminum ramps are made in the USA and contain many features such as welded fabrication for strength, surfaced with anti-slip traction tape and come complete with steel security pins and safety video. 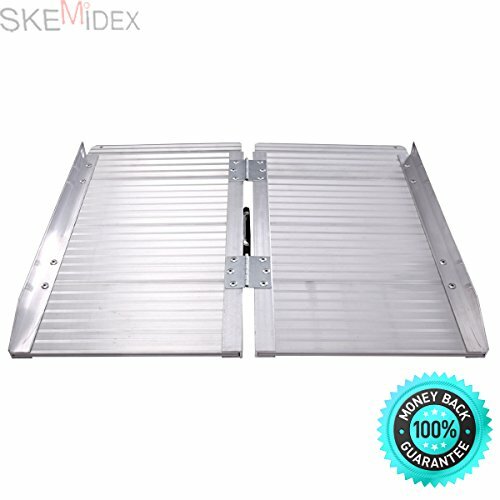 Specification: Color: Sliver Material: Aluminum Alloy Overall Size: 24"L x 28"W x 1.9"H Folding Size: 24"L x 14"Wx 3"H Max Capacity: 600lbs Net Weight: 11lbs Easily set up this portable wheelchair ramp to accommodate your wheelchair or scooter. This item is capable of holding up to 600 lbs. The briefcase ramp has a folding design that makes for easy storage and portability. Use it for loading onto porches, curbs, landings, steps or mini vans. You can have it set up and ready to go within a matter of minutes. 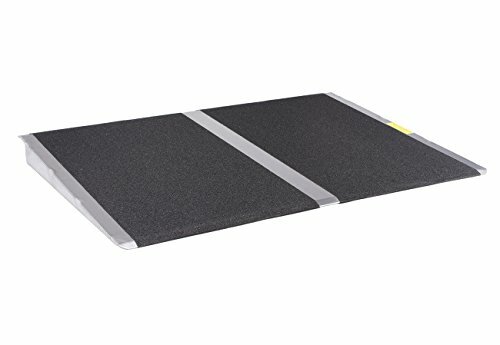 This ramp can be taken down and put away just as fast as you set it up. 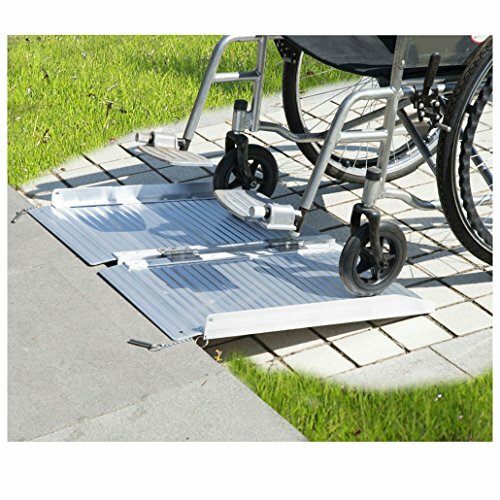 This Portable Aluminum Threshold Wheelchair Ramp is not traditional wheelchair ramp. 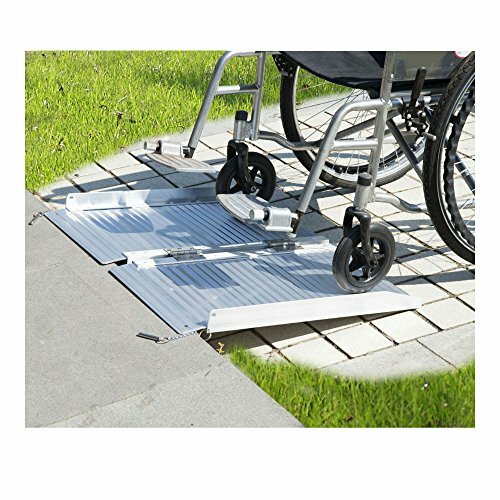 It's great for wheelchairs, curbs, low stairs, porches, into van side doors and more. 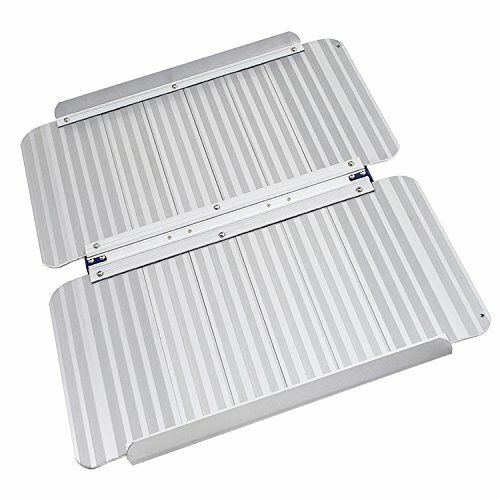 The aluminum material is designed non-slip, non-rust and water-proof that available for any areas. This means less carrying weight and less storage room. Surrounded with rivets is fixed to each side of aluminum plates, thus increases its stability, security and large bearing capacity. When you use this suitcase ramp, just detach the two pieces and fold them away one piece at a time.